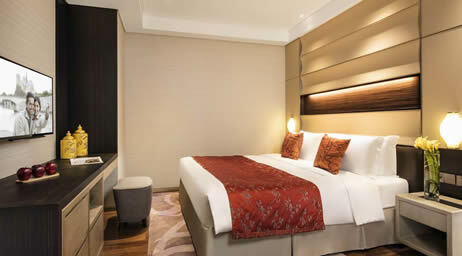 Located in the heart of Wuxi, Ascott Central Wuxi is adjacent to T12, Oriental　Plaza, Parkson Shopping Center, Suning Plaza, Hang Lung Plaza and other shopping malls. It is part of Wuxi Yunfu Mansion, a large landmark complex, with business, dining, shopping and entertainment facilities to satisfy your various needs. 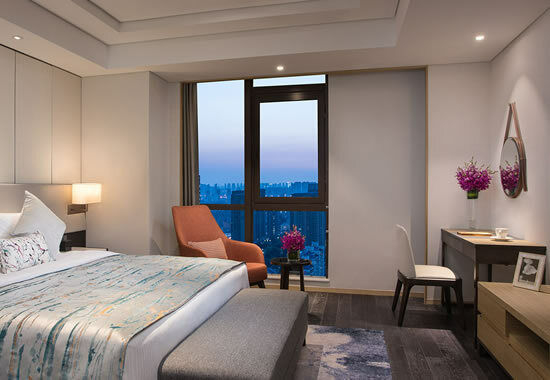 The serviced residence is 30 minutes’ drive away from Taihu Lake, and is close to Beijing-Hangzhou Grand Canal, Huishan Ancient Town, Jichang Garden, Xihui Park, Liyuan, Yuantouzhu and other famous attractions, presenting a unique city charm and cultural heritage. 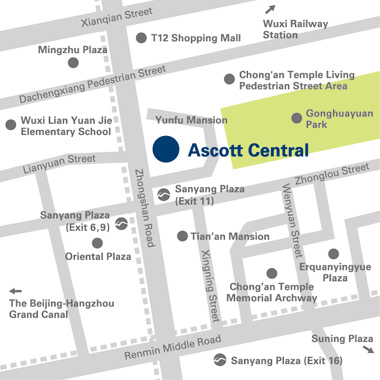 Ascott Central is also close to schools, supermarkets, banks and hospitals. The Metro station (lines 1 and 2) is a minute away, 10 and 40 minutes’ drive will bring you to Wuxi Railway station and Wuxi Shuofang International Airport respectively. 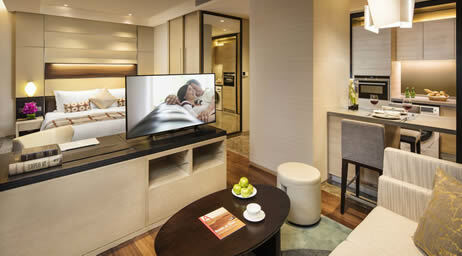 Ascott Central Wuxi has 134 apartments, from studios to three-bedrooms, each with spacious living area complete with amenities for your everyday needs. For business travelers, our residence has a full range of business support; a business center, a large conference room, wireless internet access as well as secretarial services. Wind down and enjoy the recreation and fitness facilities available for you and your family – a fully equipped gymnasium, an indoor swimming pool and sauna, a video room and a children's playroom. Wuxi Yunfu Mansion, where Ascott Central Wuxi is located has won the LEED Gold sustainable building certification.To evaluate the impact of the building on the environment, LEED has made a comprehensive survey from five aspects, which were Sustainable Sites, Water Efficiency, Energy and Atmosphere, Materials and Resources, as well as Indoor Environmental Quality. Obtaining this award, Wuxi Yunfu Mansion along with Ascott Central wuxi has become one of the most sustainable landmark in Wuxi and set new standards for sustainable constructions. 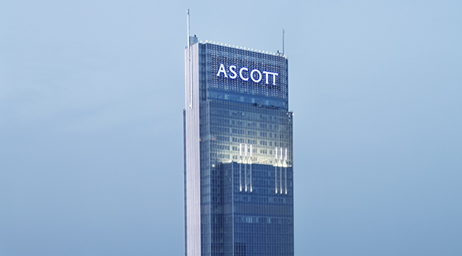 Ascott Central Wuxi is one of a luxurious collection of The Ascott Limited’s serviced residences in over 90 cities in the Americas, Asia Pacific, Europe and the Gulf region. 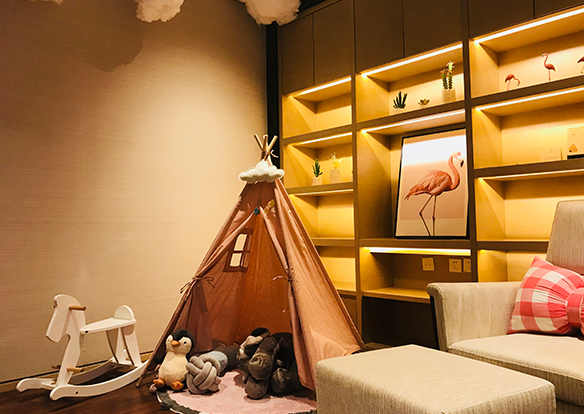 A member of CapitaLand, it is the global leader in branded serviced residences, bringing you more than 30 years’ experience in supporting travellers who work and live away from home. Live the life you desire with the Ascott Lifestyle, a collection of lifestyle experiences handpicked for your indulgence during your stay. Because life is about living. No surcharge for late night transfer. Cancellation/Amendment is not permitted 24 hours prior to arrival. Cancellation/Amendment made less than 24 hours is charged 50% of 1-way rate.